style + chemistry: Roman Holiday // still one of my favorite films. in the mood for collared shirts and skirts. 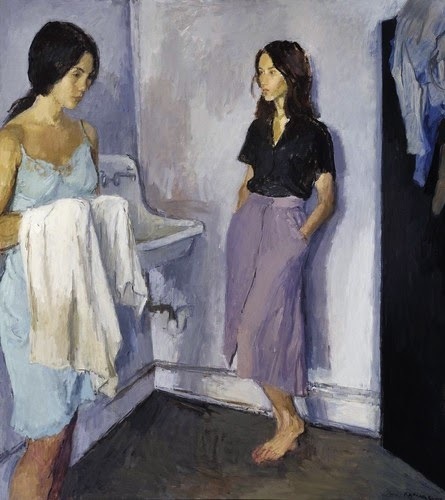 [Annunciation | Raphael Soyer, 1980] one of my favorite paintings. i also completely want to wear everything above: the collared short sleeve silk blouse tucked into a chic A-line skirt. worth a listen: this fascinating NPR interview on this painting and others in the Smithsonian's Museum of American Art collection. what films / art inspires your style? 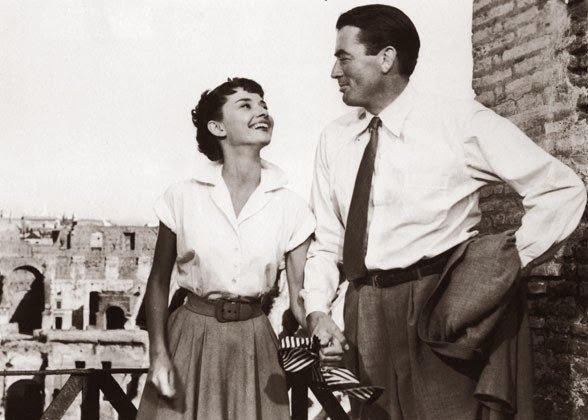 I absolutely LOVE everything about the film Roman Holiday! One my all time favs. I saw a photo on The Sartorialist of a woman wearing a cream silk shirt and a soft midi A line skirt 18 months ago and have been inspired by it eversince. I defintiely love the films of the 40's, early 50's and 70's which to me is a version of the same things from the 40's I love; soft tailoring, fluid skirts, wide trousers. Morticia Addams and sith forever!!! ;P Also I love to see 70s Halston style movies, nothing specific is coming to mind though. However I prefer modern movies that take place in the 70s more than movies actually made in the 70s. i feel like i have an outfit like this brewing somewhere in my closet...! That is a great silhouette, so fresh and clean. Now I'm on a lookout for a skirt like that! Love the color palette. Did you once have a link to the perfect denim jacket? I can't find it anymore! i just updated my Essentials for you :) love love love mine. I just watched "Woman of the year" and really liked Kate Hepburn's styling. Hard to pull off but beautiful.